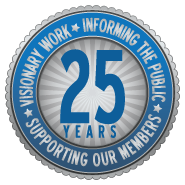 WSCADV celebrates 25 Years – Can You Relate? It’s WSCADV’s 25th year and I’ve been here for seven of those years. To celebrate, I went down memory lane through my “favorite emails” folder and found some pretty remarkable quotes from coworkers, member programs, and activists from halfway across the world. Here is my favorite from each year I’ve worked here.